The farmhouses of Ugyen and Chimi are located in the beautiful traditional village of Dumchoe in the heart of the Haa Valley, at the base of 3 sacred hills known as ‘Miri Punsum’. 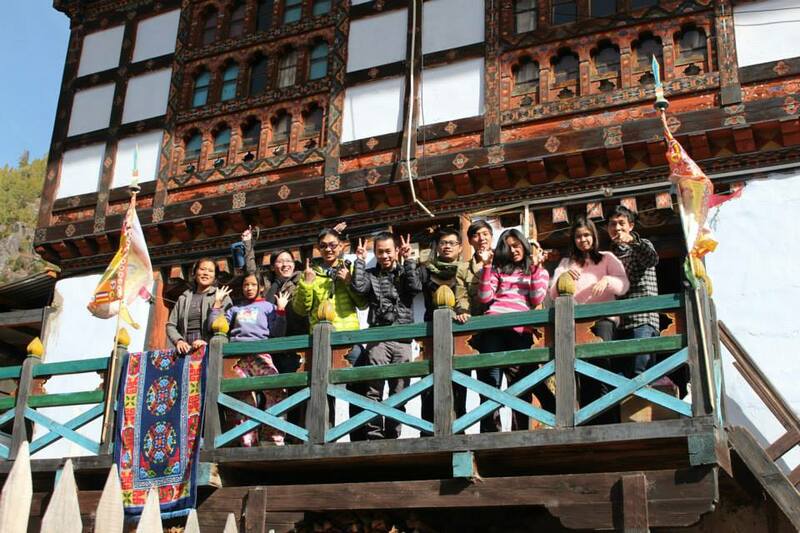 Ugyen and Chimi’s family have their ancestral roots in the Haa valley and are known as Haaps amongst the Bhutanese. Staying at either of these farmhouses will provide one with a truly memorable Bhutanese experience. You will be warmly welcomed into a cozy farmhouse made of stone, clay, and wood and invited to relax in a private room carved out of blue pine in front of a wood fueled stove known as a bukari. Butter tea and biscuits will undoubtedly be served in addition to many local delicacies such as the hoentay dumpling – a local Haa delicacy made from buckwheat flour and filled with spinach, chopped turnips, mushrooms, ginger, chili and butter. Normally these dumplings are only served in the New Year however are served to special guests as a treat. You will also be able to sample the famous Bhutanese dish, Ema Dashi, which is a chilli and cheese dish however in Haa this will be made from yak cheese instead of the normal cows’ cheese. And for those brave enough, they can wash down these delicacies with the strong local ara brew that the locals love to drink. Oh…. and you will probably be served dried yak meat which you will be able to see hanging in the loft of the home-stays and dried by Ugyen and his father Lhap who have spent their lives in the high mountain pastures above Dumchoe tending to their large yak herd. Finally, visitors can opt to enjoy outdoor cultural dances or take a dip in the hot stone bath drawn in an outdoor wooden tub to relax after a hard days sightseeing! There is much more to tell but Ugyen and Chimi prefer to keep a few surprises up their sleeves. They guarantee that visitors will not be disappointed! 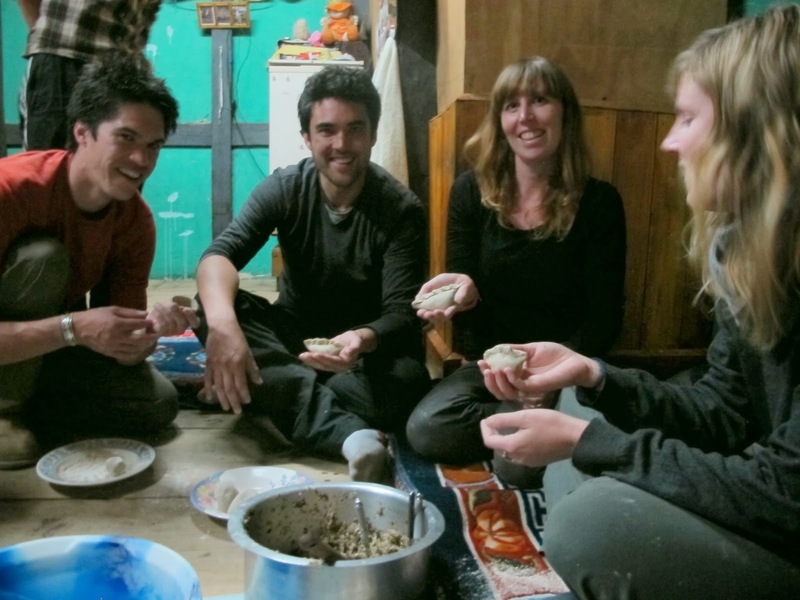 Based on Matt and Lucy’s experience that they wrote about on their blog, my husband and I were inspired to visit Ugyen’s homestay during Lomba as well. While it is inevitably a busy time for the family, they did a lovely job of welcoming us and graciously including us in their celebrations. We had planned on staying for 5 nights, but added an extra day after feeling so comfortable with the family and the peacefulness of village life. Even though we live in Bhutan and have had a lot of opportunities to explore around, this will remain and unique and cherished experience above and beyond what we expected. Besides simply spending time getting to know the family, I recommend taking a bike ride to the end of the valley, trying your hand at archery and other traditional sports, and definitely do not miss the hot stone bath. If you can handle a strenuous hike, the Meri Puensum Nature Trail is worth it and has great views of Chele La and Mt. Jhomolhari on a clear day. My friend and I (two Australian volunteers) stayed at Ugyen’s House in May to witness a friend compete in an archery final. We had a wonderful stay. Haa Valley is beautiful and Ugyen and his family were so nice and hospitable. I highly recommend the hot stone bath, so relaxing. A truly authentic and memorable experience. My Japanese husband, our two children 3 and 5 years old, and I (Austrian) stayed at Ugyen’s homestay for half a week in order to connect with what life in rural Bhutan is like today. This was by far the best part of our week-long Bhutan visit. The serenity and tranquility of the Haa valley, the walks, and the delicioussss food made this probably the best travel experience of my life. I often consider visiting Bhutan again, and if I do, I’ll probably stay at Ugyen’s homestay for the entire trip.